This is the package used to make an usb pen to install OpenMandriva. See http://blog.openmandriva.org/2013/10/openmandriva-lx-beta-up-for-grabs/. 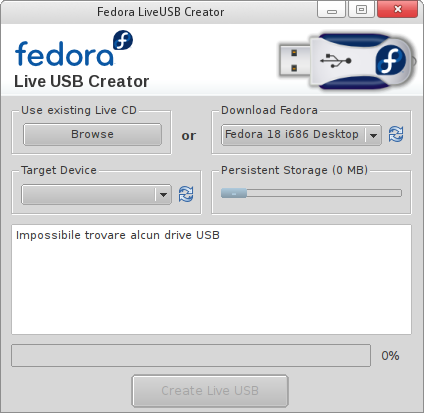 Download from https://fedorahosted.org/liveusb-creator/. Please package for Rosa 2012.1 64 bit. Cooked just now, so not yet tested. Last edited by rugyada on 21 October 2013, 9:01, edited 1 time in total. rugyada wrote: Cooked just now, so not yet tested. Thanks a lot to Dago 68! To 'gioma': are you sure your repos are properly configured? The only problem occurred at first update when updating pyparted need to remove liveusb-creator. After updating I reinstalled liveusb.